Have you ever ordered a Brown Cow? Well, its one of my favorite things ever. 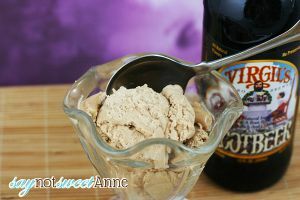 A brown cow is really just a rootbeer float, but with the rootbeer and icecream mixed together like a shake. Its creamy, and sassparilla flavored -ugh! Just to die for! Its only natural then, since my mother gave me an amazing ice cream maker for Christmas that I wanted to see if I could skip a step. 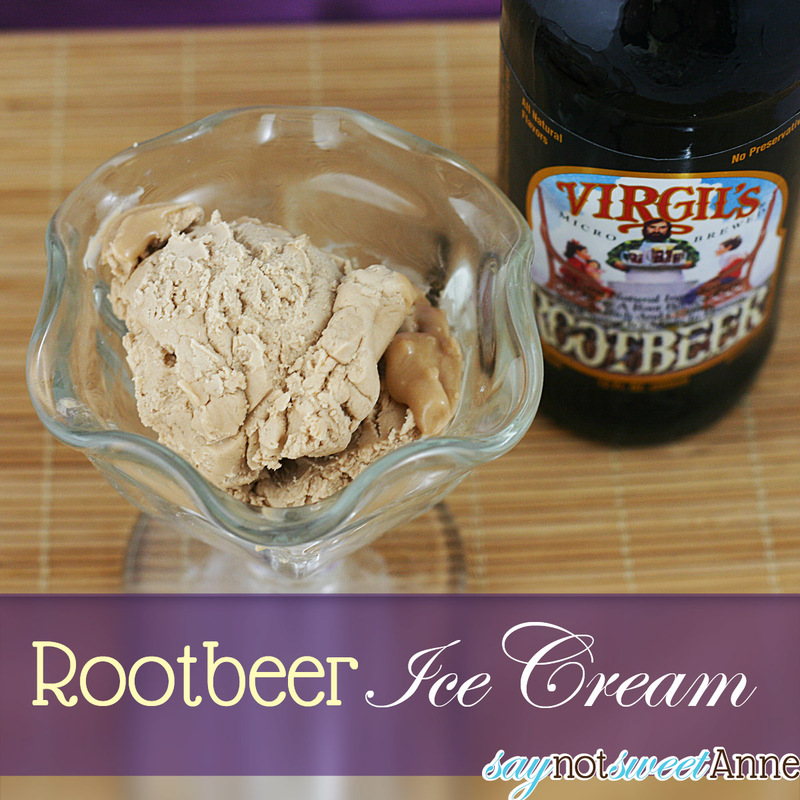 Why add rootbeer to ice cream when I can make rootbeer ice cream! I’ve been sneaking bites of this from the freezer every 3 hours since I made it. Yeah, its that good. 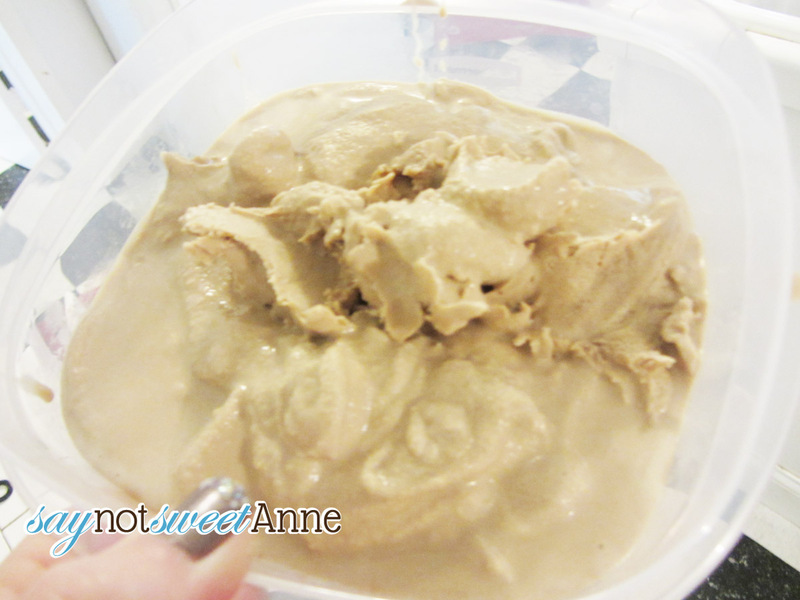 Oh, and did I mention you don’t need an ice cream maker? Yeah! Lets get to it! Prepare your ice maker per manufacturer’s instructions. 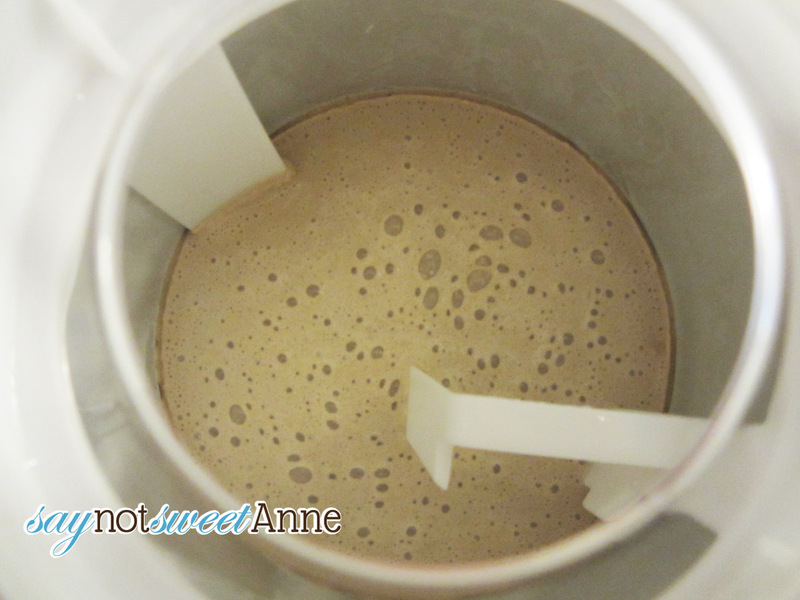 Pour into ice cream maker and freeze per manufacturer’s instructions. Place in air tight container and keep in freezer! Place a metal cake pan in the freezer. While whipping, combine root beer flavor and condensed milk. Freeze in the pre-chilled metal pan, stirring every hour for 2-4 hours. That’s it! I was so excited with how amazing this was I had to call my mom to brag. Too bad I can’t send her ice cream in the mail. This is perfect for a comfort food, and has a refreshing side that is great for a hot day. I wish there was a way to bring ice cream to a pot luck- I’d bring this! ♥ Hopefully some day soon we get some hot weather! I hope you can get a hold of some! Its so good! Oh man does this look delicious! I LOVE root beer! Ihave been telling my husband I want an ice cream maker to make all these delcious homemade recipes I keep finding! I am pinning this for future use! I would LOVE to have you share at my party! Katie, I’m so glad you like it!! Remember, there ARE ways to make ice cream without a maker. Give it a shot! Cool flavour. I will have to try that this summer. I’m not being stupid–really. I originally thought “dram” was a typo, but I looked it up, and it is an actual unit of measurement. I had never heard of it before. Is it really supposed to say dram, or is it one gram? Since both are units of measure, I wanted to be sure! Heidi- I totally understand your confusion!! Its supposed to be dram. Its not a unit I typically use in my kitchen, but those little bottles of candy flavoring you buy? Those are measured in drams. So, using dram actually makes it easier. I hope that helps! This looks great. Reminds me of better times long ago. benlassiter recently posted..How to Go Paleo Tonight! How many servings does a single recipe make?